RICHARD FOURIE has a number of good rides at Kenilworth today. 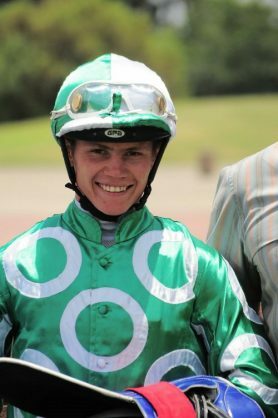 Richard Fourie has been riding exceptionally well and has notched up an impressive record in his last 30 rides with seven winners and 13 places. And he looks the force to be followed at Kenilworth on Wednesday when he teams up once more with trainer Glen Kotzen. The first two races are filled to the rafters with first timers so could prove very tricky – follow the money. Fourie makes for great Eachway bets in Race 3 aboard Lindleys Lane and in Race 5 on Shizam. Up next he rides Elusive Singer in Race 6, a MR 72 Handicap over 1000m. This Kotzen-trained gelding wasn’t disgraced last time out when only a 1,10-length second to Straat-Kind. That run suggests the drop in trip should prove healthy for him here. He shoulders a modest 56.5kg and will jump from a not so bad No 7 draw. His biggest danger could come by way of Prince Alfred who left quite an impression in his last start when skipping 2.25 lengths clear of the field. This Adam Marcus-trained three-year-old will however shoulder 60kg – 3.5kg more than Elusive Singer which could be a massive disadvantage. Silvan Star has been extremely unlucky over her last two starts, she could be returning to winning ways in Race 7, a FM 89 Handicap over 1600m. She meets stronger now but could have enough to edge out this field. She’s well drawn in stall No 5 and will carry 59.5kg. The return to her favoured trip of 1600m will make her very hard to beat. Should she fluff her lines the newly formed alliance of Candice Bass-Robinson and Aldo Domeyer could pick up the pieces with Miss Marker who has run against stronger and held her own. To close off the meeting Fourie will steer home Quickfire who improved on her debut run last time out when winning comfortably by 1.25 lengths. This three-year-old son of Querari is in pursuit of a quick double of wins and could prove the right horse in this competitive 12-horse race. She’s well drawn in gate No six and will have 58.5kg on her back.